Soothing and anti-irritant care for sensitive skin associating redness and squames localised particularly on irritated oily areas: wings of nose, eyebrows, forehead, chin. • Thanks to the synergetic action of specific active ingredients, Sensibio DS Cream improves the scaly condition and curbs the proliferation of micro-organisms, irritant agents responsible for worsening the skin’s condition. 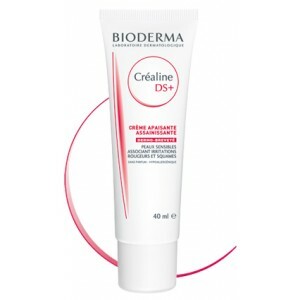 • Sensibio DS Cream soothes irritated skin and minimises redness. 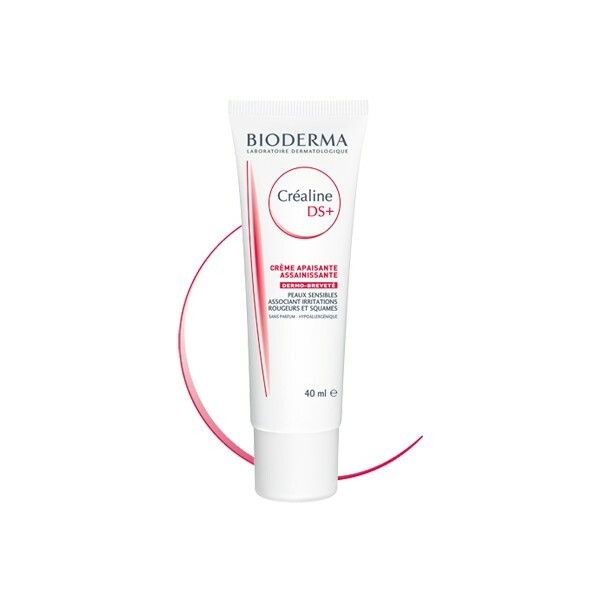 • Its very cosmetic, light, emollient and non-oily texture (cream-gel) provides real comfort for the skin. • Apply once or twice a day to cleansed skin (ideally using Sensibio DS Foaming gel or Sensibio H2O non rinse Micelle solution). • For adults’ scaly scalp conditions, a soothing, purifying and keratoregulating cream shampoo is recommended, Nodé DS.